Here’s the latest addition to the Trombone History Timeline. 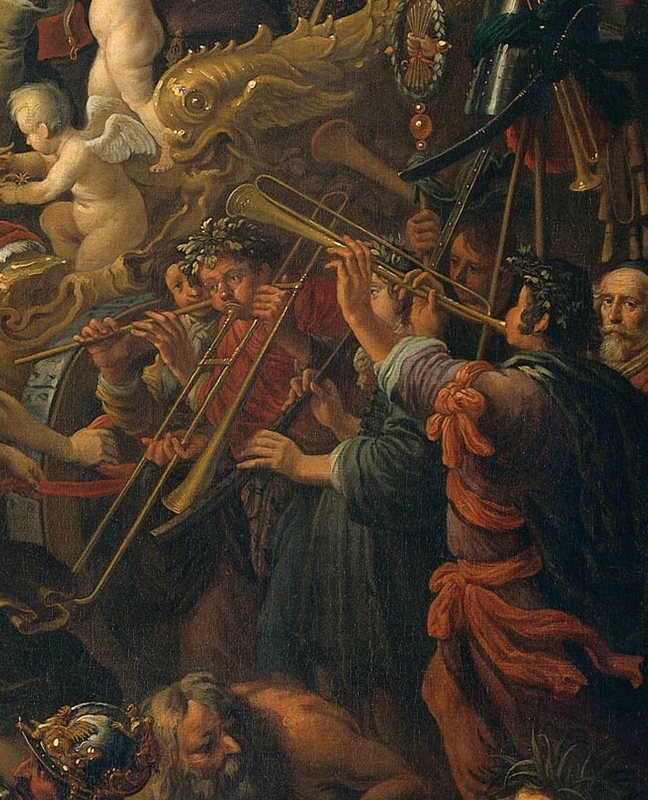 It is one of many allegorical depictions from the Low Countries that include trombone. The left-hand grip of the trombone is unusual, and the plane of the instrument appears to be incorrect (bell section and slide section are parallel instead of perpendicular). 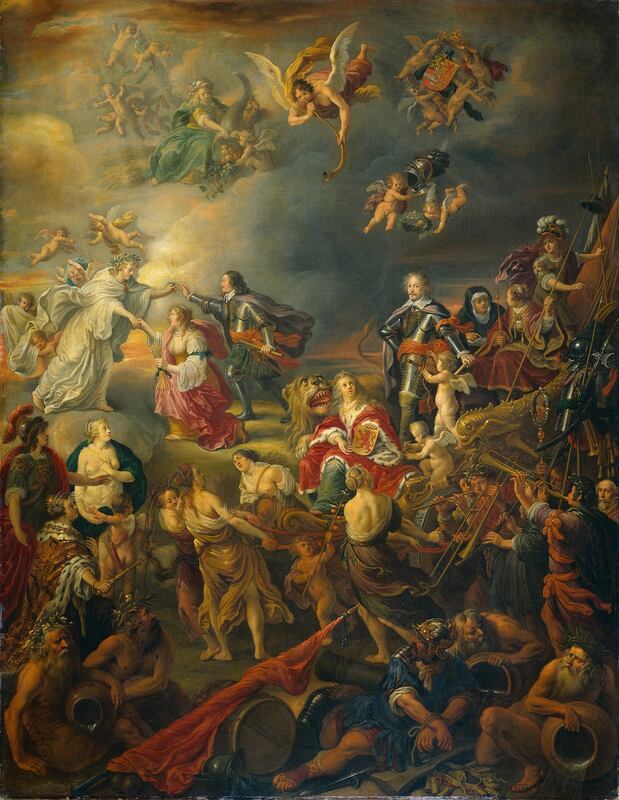 1650—Amsterdam, The Netherlands: Adriaen van Nieulandt’s painting, Allegory of the Peace under Stadholder William II, includes a trombone among a group of musicians that follow the chariot (see detail and full image below; public domain) (Rijksmuseum, Amsterdam). It is interesting to notice that the musicians’s hands are quite big when compared to the proportions of the bodies… not very accurate. 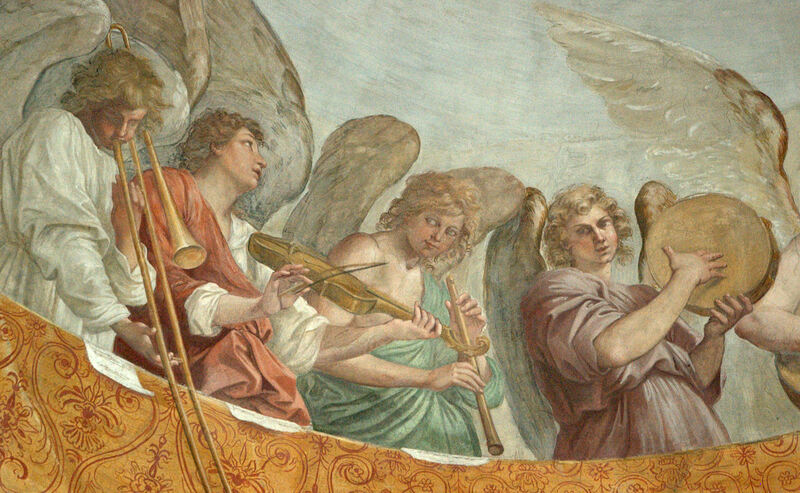 It might be intentional… the musicians are placed in a not-so-peaceful corner of the painting. The man on the far right looking at the camera is the artist, van Nieulandt. That’s right, I read that too. Interesting painting. It’s really jam-packed with stuff. Lots of symbolism. It’s definitely not unheard of, but it’s a bit unusual to see both a trumpet and a trombone in the same painting.